Discussion in 'Siegle Knives' started by abrasion, May 14, 2015. MR HAPPY, WILLIAM.M, protourist and 1 other person like this. That looks fantastic, Bill. I like the addition of the swedge. If I remember correctly, the one you had at Becker West didn't have one? 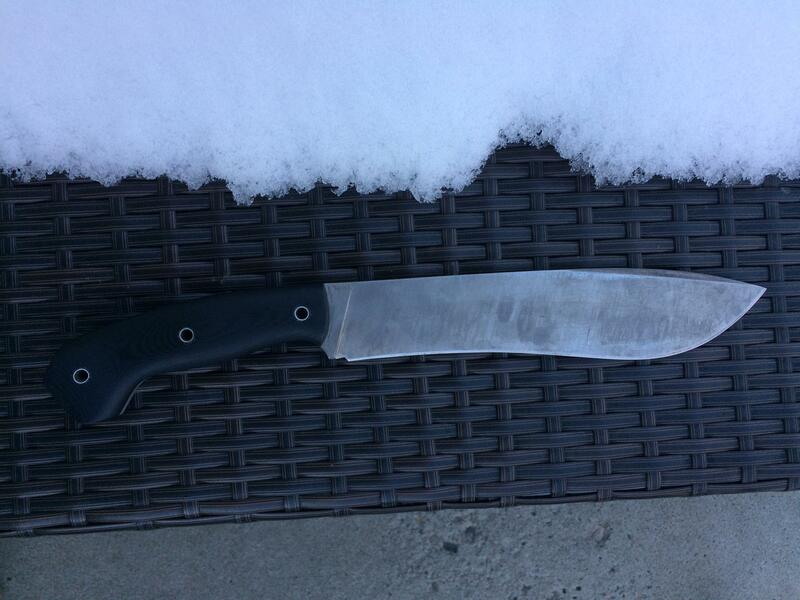 Regardless, it is a fine looking knife and you've reminded me that I need to send you an email. 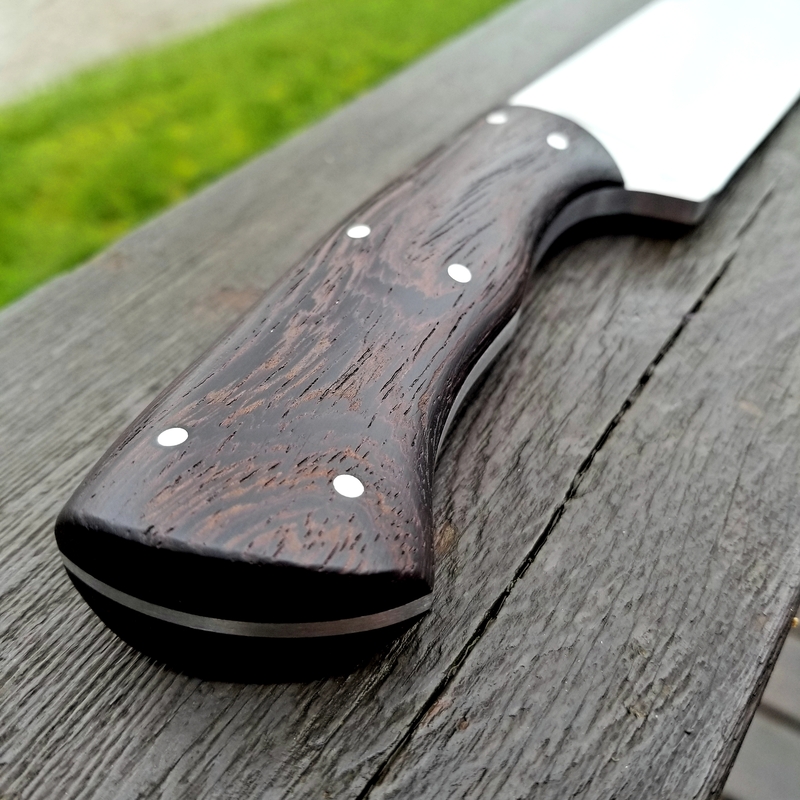 Modified a design a little and came up with this machete 18 3/4in overall with a 13in blade. Tero Tuf over orange G10 liners. MR HAPPY, Mink, protourist and 4 others like this. OD green G10 with orange G10 liners - 11 7/8in overall with a 6 7/8in blade .200 thick 5160 - Weight 12 ounces. 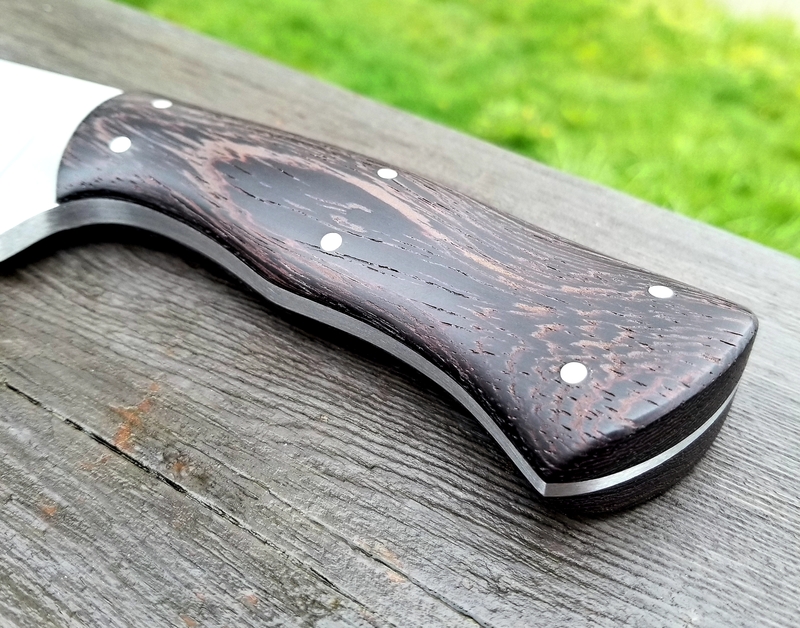 Farm Hand with wenge wood scales, stainless pins, and a false edge added. Pàdruig, protourist and MR HAPPY like this. Looks fantastic, Bill! Hard to predict how Wenge will turn out and I've only seen a couple knives with it. It has quite the character though, nothing like it. I really like how the pins turned out too, just all around a great looking knife. protourist and Bill Siegle like this. Pàdruig, protourist and Bill Siegle like this. How thick is this beauty? Size matters, ya know. 1/4in at the ricasso with a bit of distal taper towards the point. This blasted rain has finally let up a bit for me to take some pictures. My creek has risen close to 7 feet! This beast is simply awesome. Bill, you've worked a marvel. This is truly a prize, I can't tell you how happy I am with it. protourist, Mink, 1066vik and 1 other person like this. wenge has such in interesting texture - both physically and visually.